If you’re not making a “mirrorless” / “compact system camera” (CSC) (or ILC*) then you’re not making / growing profit, and you’re not going to get very far in the digital camera market… particularly in Japanese or UK style markets (Europe for example). * see notes on Canon. 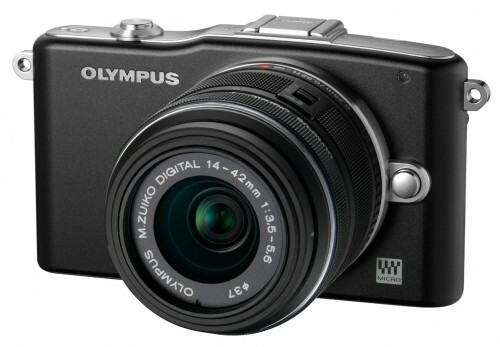 Olympus: Ignoring all the bad stuff, they have grown to be the biggest selling Mirrorless camera company in Japan for 2012 (and possibly Europe / Germany – or at least Micro Four Thirds combined). Strengths in waterproof compacts. Extremely good range of mirrorless cameras this year – catching up with Panasonic for focusing speeds. Panasonic: Growing Mirrorless market, particularly strong in the UK. The combined forces of Panasonic and Olympus on Micro Four Thirds (M43) makes M43 the most compelling mirrorless system, with sales in Japan for 2011 for Mirrorless 1. Pana, 2. Oly, and 2012 for Mirrorless 1. Oly, 2. Pana. Nikon: Growing market share thanks to competitive DSLR products, and entry into Mirrorless market. Entry level mirrorless said to be selling increasingly well. Increasingly popular Coolpix range of compacts (year on year growth). Pentax / Ricoh: Profitable DSLR business, fresh investment from Ricoh should inject new life into this area, and additional mirrorless APS-C camera should improve business further (with the potentially game changing camera). Ricoh are more of a niche market with premium GR Digital series (with cult following in Japan), and Leica M mount GXR (with APS-C sensor). Ricoh are profitable with a very successful print/copier business that is used in corporate and government environments for things like sending out mailings to 40,000+ people etc Serious stuff. Pentax / Ricoh combined could be a very interesting company to watch over the next 12 months. I expect growth. 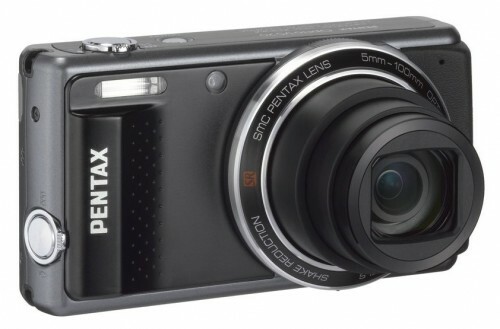 Pentax Q has some success in Japan as the smallest mirrorless camera. Kodak: Ouch (recently filed for bankrupcy protection). Here is the perfect example that backs up the following statement: You don’t make profit from cheap “and cheerful” me too style point and shoot cameras. Sold sensor business (doh!). Minox: Recently announced they aren’t going to make “cheap and cheerful” point and shoot cameras. Instead they’ll keep making those interested “Spy cameras” and “retro classics“. *Canon: Recently the CEO stepped down as profits aren’t growing as quickly as expected. Canon are being challenged by Nikon on all DSLR fronts, and then also challenged by Mirrorless cameras. So whilst DSLRs was (and is) a profitable area, Mirrorless is challenging both compact cameras, and entry level DSLR. And at the bottom end of point and shoot, this is being challenged by smartphones with decent(ish) cameras. 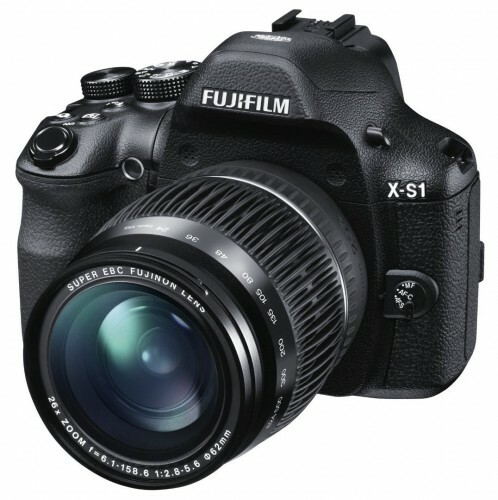 A mirrorless camera would really help your profits! Fujifilm: Making a market for itself by selling premium compact cameras, X100 (selling like hotcakes, in the 100k region! ), X10, X-S1 (Premium Ultra Zoom Bridge camera), X-Pro1 Mirrorless, and strong in Bridge / Ultra Zoom cameras that look like mini-DSLRs. Strong in waterproof market as they can undercut competitors on price, and presumably still make profit from it? Samsung: Sells the NX mirrorless system, with a decent range of lenses and good image quality. Not sure how well it is doing worldwide, but a good system, that can often undercut competitors on price. Compact cameras seem to be leading the way for features: WiFi, App / Phone style GUI. Samsung don’t seem to be rated in Japan though, rest of world, yes. Compact cameras can undercut competitors, making them a popular buy. Others? BenQ / Aigo / GE / Polaroid / Rollei / Praktica : – see Kodak, see Casio, unless you have an extreme niche (Ricoh) and are popular in your home market (Casio/Japan), or make a mirrorless camera then how will you grow? ePHOTOzine has reviewed the new Panasonic Lumix GX1, and compared it to the Panasonic Lumix G3 – both cameras feature a 16 megapixel sensor, Micro Four Thirds lens mount, 3 inch screen, 4/4.2 fps shooting, with the G3 featuring an electronic viewfinder, and tilting screen, the GX1 features a smaller body and electronic level as well as customisable buttons. 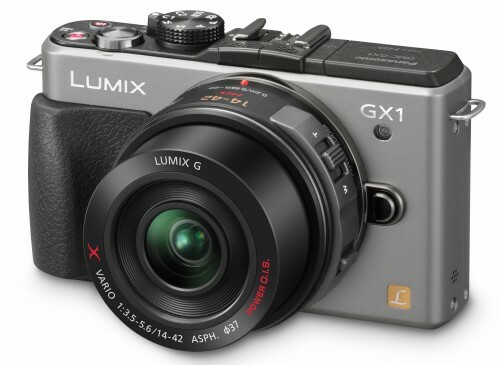 The Panasonic Lumix GX1 is available for £469 body only. The Panasonic Lumix G3 is available for £449 with 14-42mm kit lens. ePHOTOzine has reviewed the Minox DCC 5.1 (Digital Classic Camera) – it’s a mini replica of the Leica M3, but with a 5.1 megapixel CMOS sensor, 2inch screen, lithium ion battery, optical viewfinder, and no optical zoom. It takes SD cards, and there are a number of accessories available for it, including a classic press flash, a wide angle converter, a telephoto converter and even a tripod adapter, as well as a metal lens cap, leather strap, leather case, and the camera even comes in a wooden presentation box! 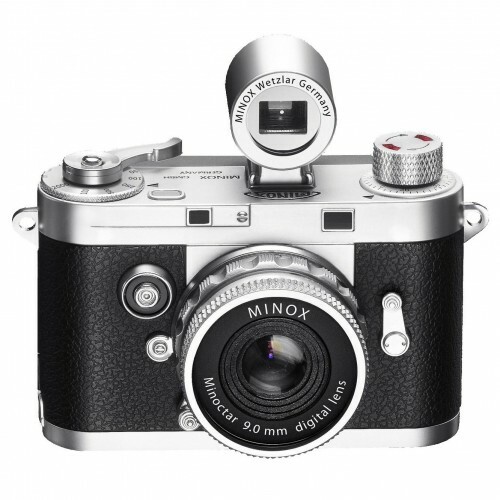 The Minox DCC 5.1 is available for around £139. 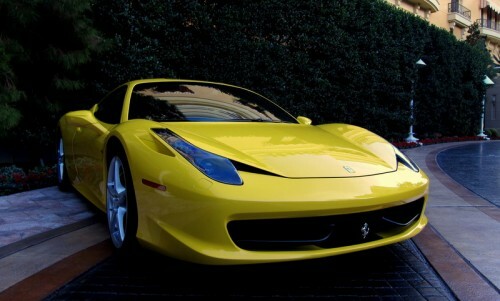 We’ve just uploaded sample photos from the Canon Powershot S95, from Las Vegas. The Canon Powershot S95 is a compact camera with an f/2.0 3.8x optical zoom lens with image stabilisation, 10 megapixel sensor and 3 inch screen – it’s available for £229 from Amazon UK. Pentax has announced the new Pentax Optio VS20, an ultra zoom camera with a 20x optical zoom lens, and two shutter buttons, one for normal shooting, the other for portrait shooting. The camera also has a second tripod socket for portrait shots as well. Shake Reduction, 16 megapixels, a 3 inch screen, 720p video, and a digital level are other features of the new camera. It will be available in silver or black from February/March for £199. “On top of its 20x wide-angle zoom (from 28 to 560mm), the Optio VS20 offer a second release shutter button on the side. This is a real help when taking portrait pictures. The Optio VS20 is filled with the latest technologies, like one of the lastest generation 16MP sensor for exceptionnal sharpness, a 20X optical zoom and a large 3″ coloured LCD screen. It also benefits from a new mode for low light conditions, offering less noise and better sharpness. If you have an interest in photography, technology and digital cameras, and have a spare 15-20 minutes every day, then you might be just what we’re looking for. We are looking for someone to post daily news and updates to this site. WordPress experience would be ideal but is not necessary but would be nice. If you are interested get in touch (with subject: DigiCamReview). 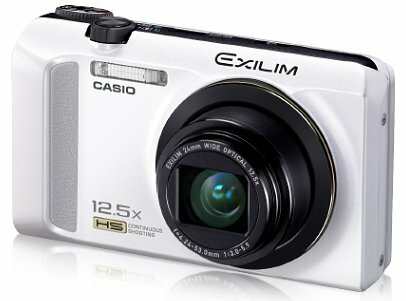 Casio has announced six new compact cameras available in a number of different colours, these cameras should be available in April, with the two top of the range models offering high speed shooting at up to 40fps. There’s a hands on preview of the new Casio cameras here from CES. 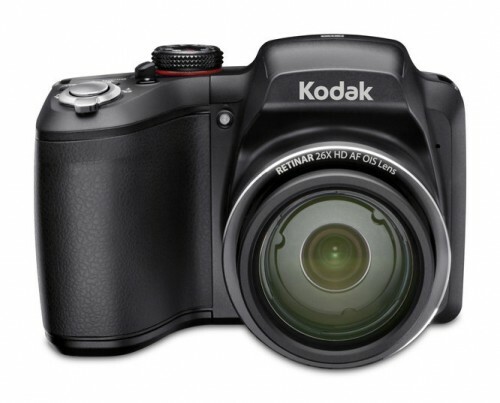 Kodak has announced a whole bunch of new cameras, seven if you count the dual camcorder / camera, the Playfull Zi12.